Evelyn Tellez began her yoga practice in 2000. After graduating from Administration in Finance in 2008, she made a full turn and began teaching yoga. Over the years she has studied with renowned national and international teachers of Ashtanga, Vinyasa, and Anusara Yoga. 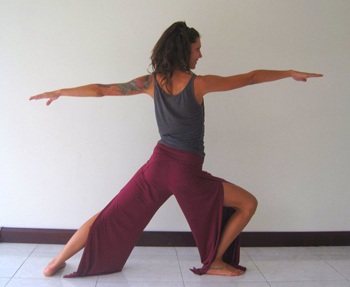 Her private and serene yoga studio located in Escazu. Beginners to advanced vinyasa classes, plus prenatal and therapeutic yoga. Private and semi-private sessions available. Classes at Prana Yoga are very challenging. These sessions need you to be creative and energetic. You will require concentration, strength, discipline and patience. But Evelyn Tellez is a very friendly instructor, so you will find the sessions very interesting.